Because probate is required of almost every estate, there is a high likelihood that you will find yourself directly involved in the probate of an estate at some point during the course of your lifetime. This might happen because you are named as the Executor in a Will or because you volunteer to be the Personal Representative when someone dies intestate (without a Will). You might also find yourself a beneficiary, heir, or creditor of an estate that is being probated. Even if you manage to avoid involvement in the probate of someone else’s estate, a basic knowledge of the probate process remains important so that you can understand the role it will play in the creation of your own estate plan. With that in mind, the probate attorneys at Hedeker Law Ltd. have put together some frequently asked probate related questions and answers for you. When a person dies, he or she leaves behind an estate that is made up of all assets owned by the decedent at the time of death. Ownership of those assets must eventually be transferred to the beneficiaries and/or heirs of the estate. Debts of the estate must also be paid. Probate is the legal process that ensures that all of that occurs in a timely and efficient manner. Some type of probate is almost always required; however, formal probate may not be necessary. Like most states, the State of Florida offers an alternative to formal probate for small estates without complex assets. Disposition without Administration may be possible, in lieu of formal probate, if the decedent’s estate is made up of only personal property of little value (the limit is subject to change). If the decedent executed a Last Will and Testament prior to death, the person named as the Executorof the Will is who will oversee the probate of the estate. If the decedent died intestate, or without a Will, any competent adult can volunteer to be the Personal Representative of the estate and oversee the probate process. If no one volunteers, the court will appoint someone, usually a local attorney, to be the Personal Representative. If the decedent left behind a Last Will and Testament the estate is referred to as a “testate” estate. If the decedent failed to execute a Will prior to his/her death, the estate is known as an “intestate” estate. The primary difference between the two is found in how the estate assets are distributed. In a testate estate, the decedent’s Will determines how the estate’s probate assets are to be distributed. If the decedent dies intestate, the state intestate succession laws dictate how the estate assets are distributed. Typically, intestate succession laws require the estate assets to be distributed to close relatives only, such as a spouse or children if any survived the decedent and then parents and/or siblings if no spouse and/or children survived the decedent. There is no legal requirement that you hire an attorney to assist you in the probate of an estate; however, the probate process may involve a number of complicated legal concepts that require at least a basic knowledge of the applicable laws. As a general rule, if the estate requires formal probate, it is in your best interest as the Executorto consult with an experienced estate planning attorney to ensure that you do not make costly mistakes. Locating an original copy of the decedent’s Last Will and Testament and obtaining certified copies of the decedent’s death certificate. Submitting the Will along with a petition to open probate with the appropriate court. Inventorying and valuing estate assets. Transferring the remaining assets to the intended beneficiaries and/or heirs of the estate. The amount of time it takes to probate an estate will depend on a number of factors, including the size and complexity of the estate, the abilities and dedication of the Executor/PR, and whether or not any challenges are filed against the estate. Furthermore, state law determines how long creditors have to file claims against an estate. The probate process must remain open at least that long. In Illinois, a Probate case will generally last at least six months because of the claims publication requirement under the Illinois Probate Act. It can easily take much longer though to get through the probate process. 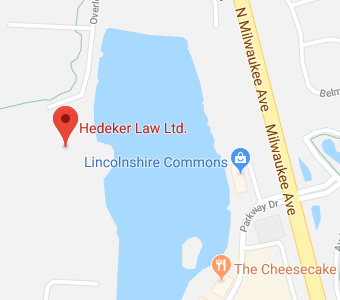 If you have questions regarding the probate process in general, or the probate of a specific estate, contact the Illinois estate planning attorneys at Hedeker Law, Ltd. by calling (847) 913-5415 to schedule your consultation and find out how they can help you.